Well I tried using the members ride page but it would not let me post on my stuff. 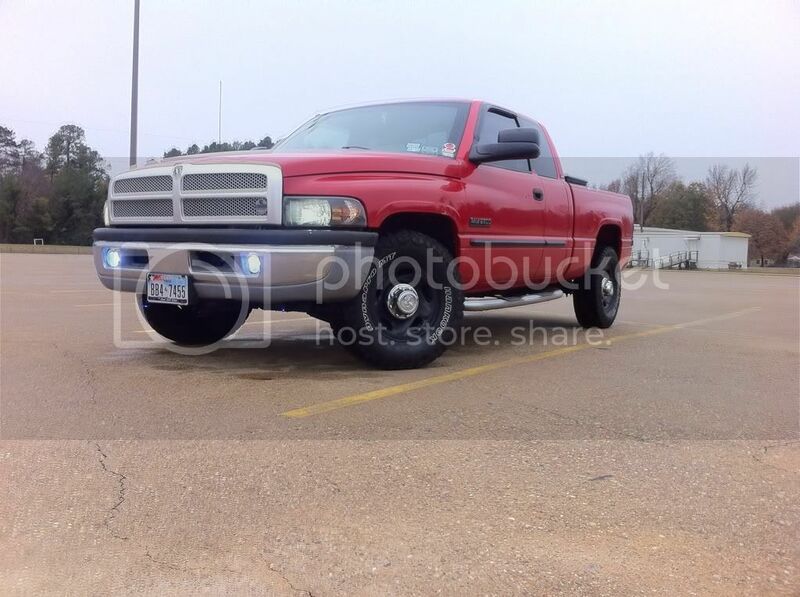 Also I like hearing opinions about my truck so Ill make a blog here and just copy what Ive done to here from cummins form then keep it up to date! Well its been a month or so Ive not been on DB. Been to busy with finals and work. But I thought instead of a bunch of posts about what all I did to the truck Ill just make one super giant post. First off I finally got my sound system installed to the truck. Next I replaced the interior lights with LED's. 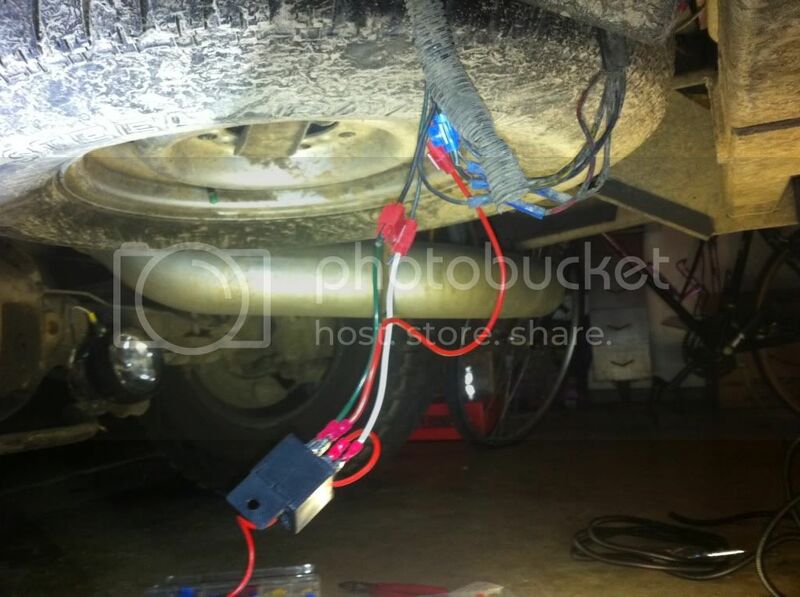 Also found a write up on cummins forum on fixing the map light switch so I did that to. 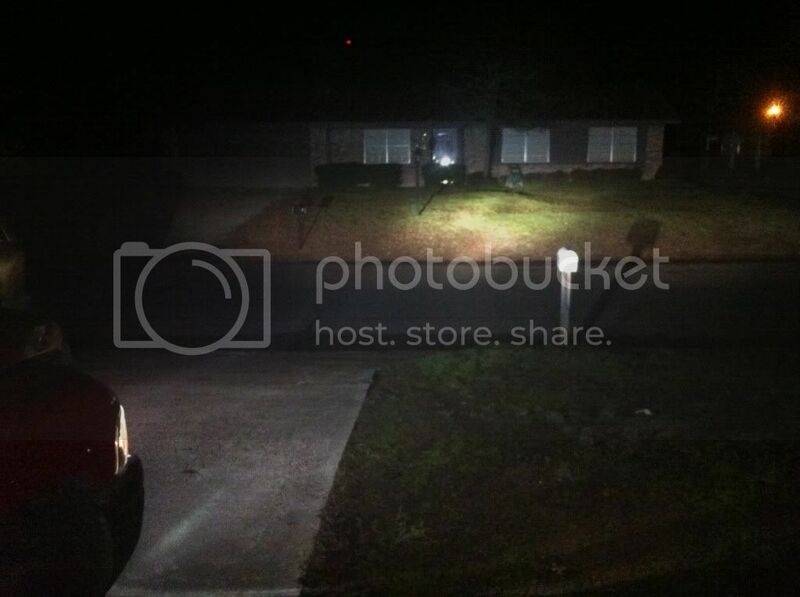 Its soooo much brighter I can now see the floorboards at night. Lastly I plasti-diped my wheels. This stuff is great. Super easy to put on stands up to anything and if you don't like it it will pull off like tape. Also got my 300,000 mile badge :tu: Going to black out the bumpers grill and running boards next. Ill be posting that to here. So to add to my list of things to do this weekend I picked up a high idle box. It's incredibly handy in the winter for faster warmup or even the summer time for cold AC. 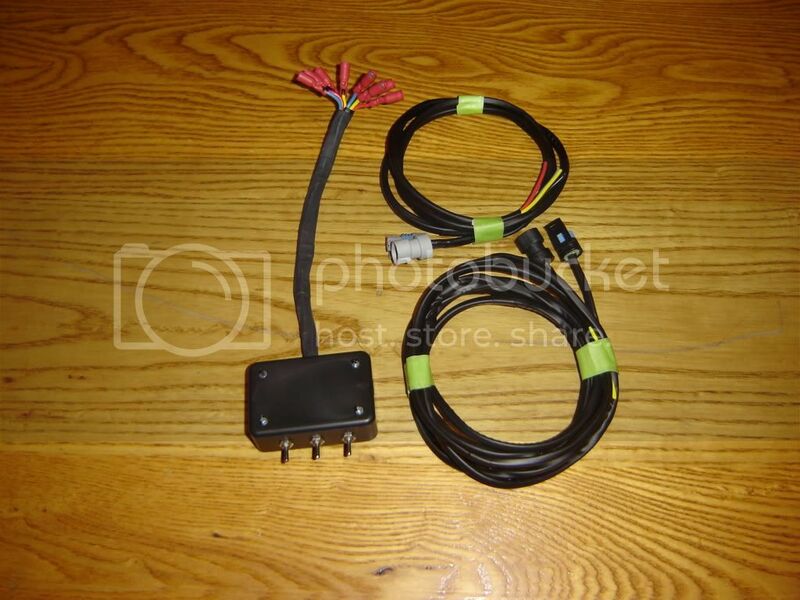 The left switch is the IAT switch, the center is the 3/6 cylinder selector, and the right switch is the ECT switch to force high idle a warm engine. I should have a bit of fun with it. 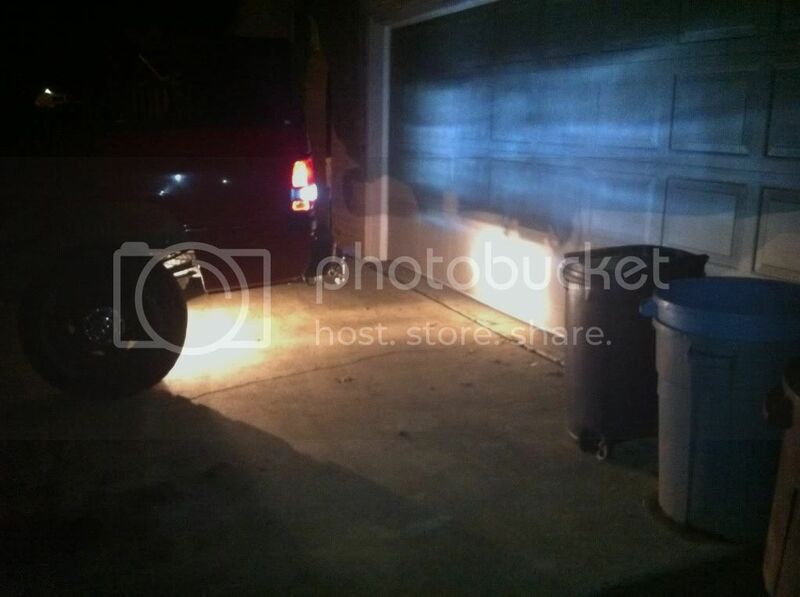 So This weekend I installed my projector fog light housings. 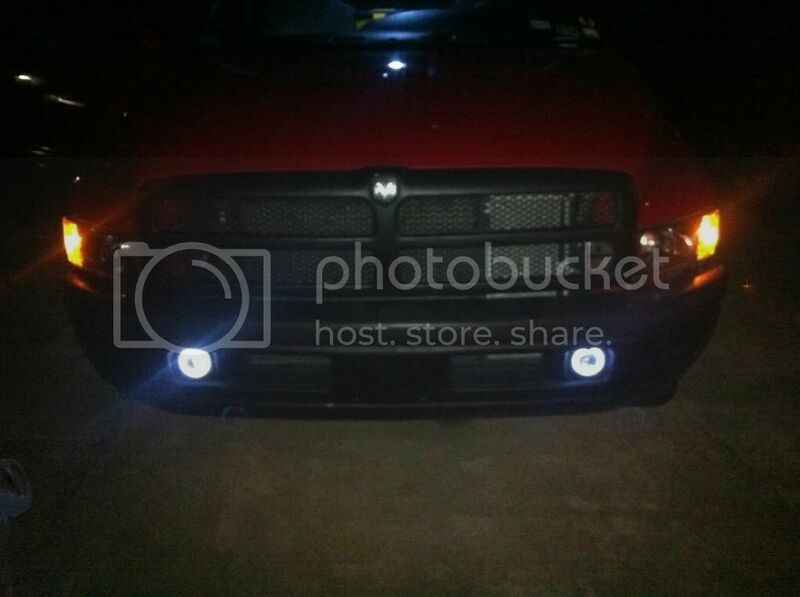 They have a 6000k HID and white halo ring. 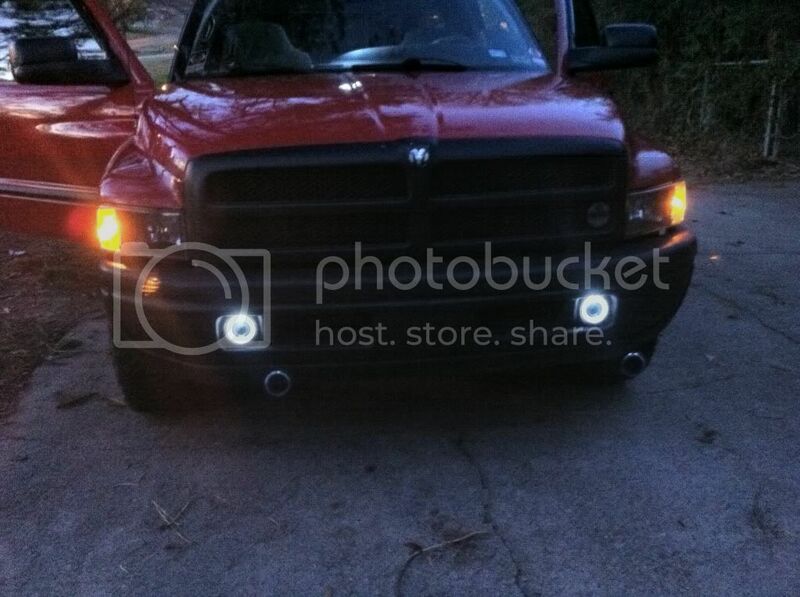 Matches better than the stock lights also wont burn up like the stock lights. Well After several weekends I FINELY got these suckers hooked up! Been waiting on time and parts. 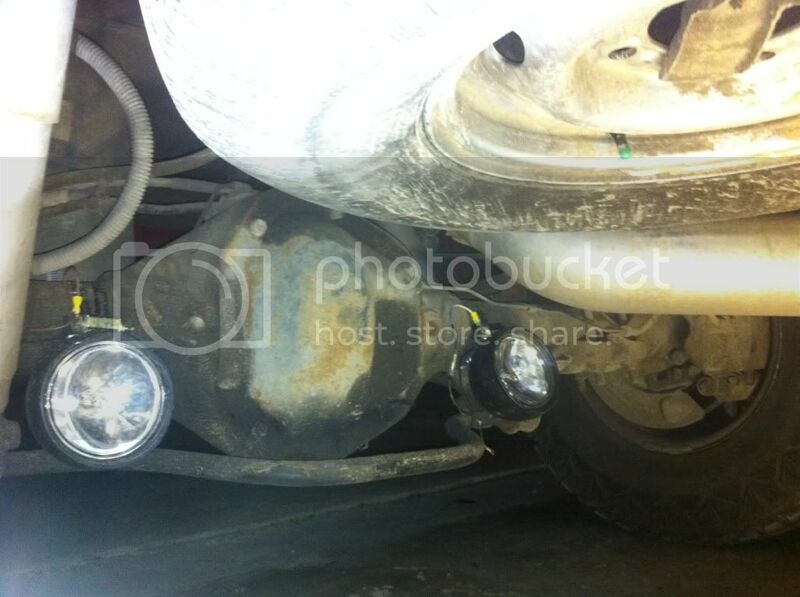 So I got 2 of the 100 watt spots and mounted them to the axle with 2 pipe bands each. 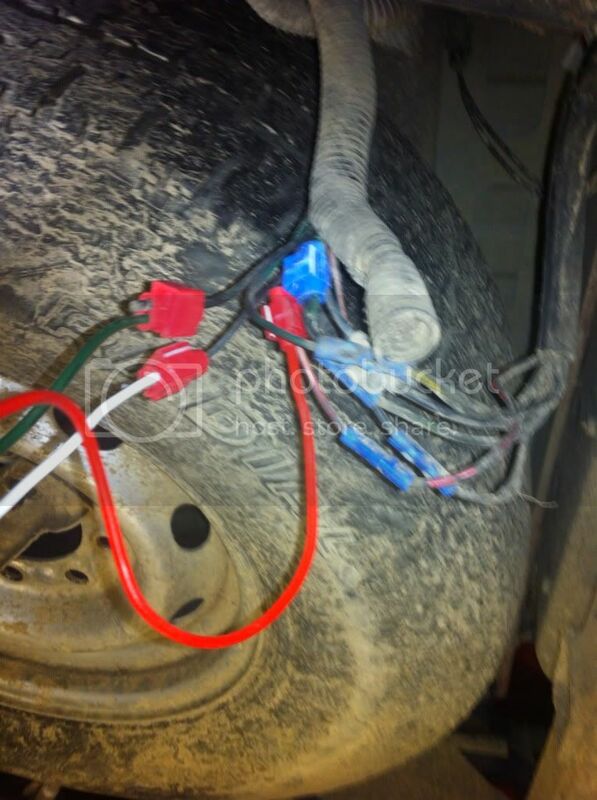 Took a while to find out what wires went where in this mess that some one made for me. There are wires coming and going everywhere! Put the relay on the inside of the frame after I did a waterproof job with some tape and got it up out of the way. Next I ran my switched power and a ground to the lights. I ran a ground just to play it safe and have a ton of wire on hand. 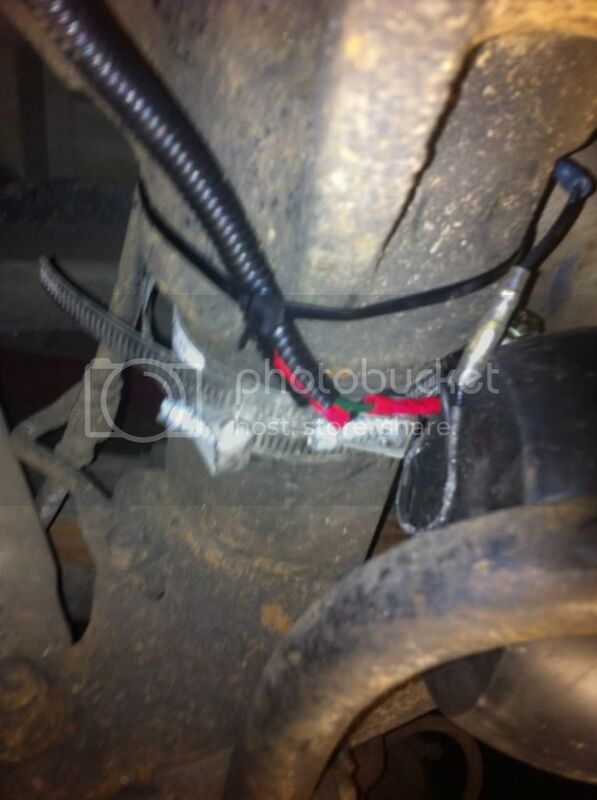 Ran the wires in that plastic wire covering, through the frame rails and down to the axle. 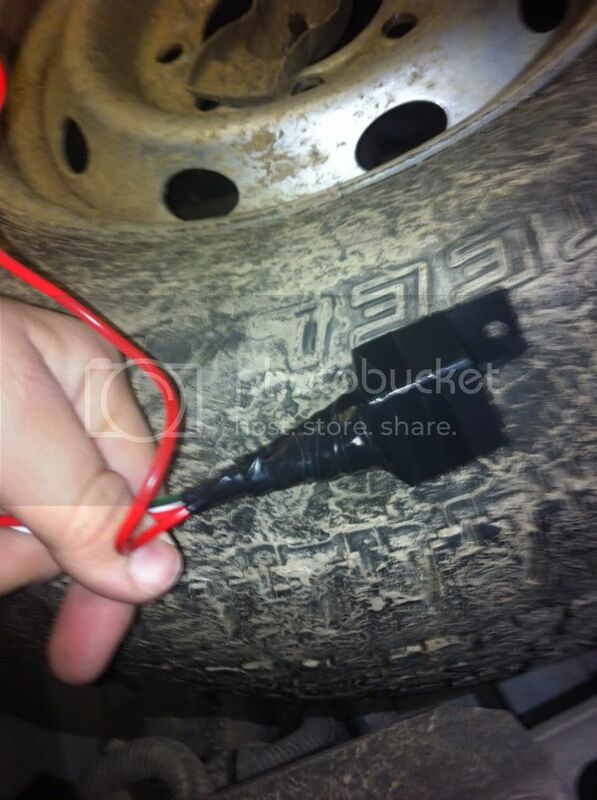 Lastly I ran the wires to each light zip tieing the wire to the axle. And man them suckers are bright. Cant wait to try them out later! Ive just done some here and there stuff to the truck. Got a flat on the way to college ended up being late but good news I can change a flat in 7 minutes "flat". Rewired my fog halo's had a wire loose. Also coated the connections in waterproofing. Lastly I fixed my cup holder my friend broke. 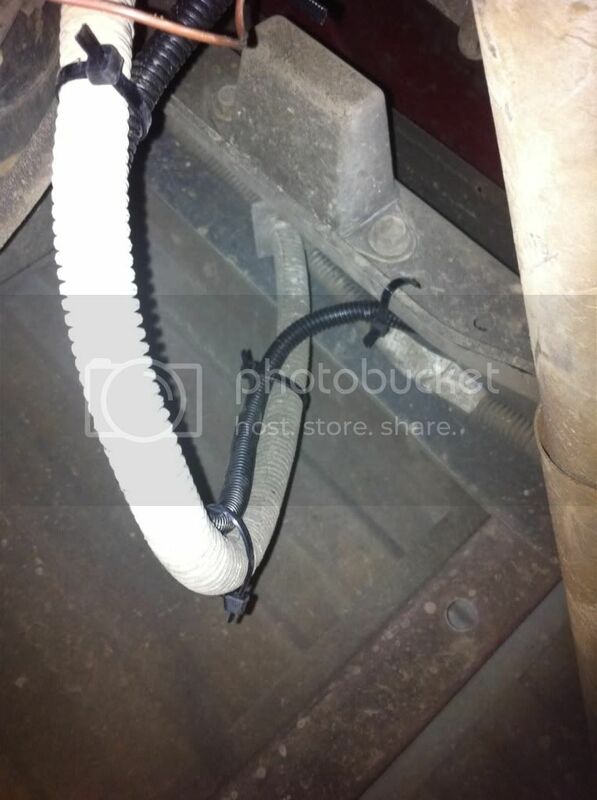 Ive been kidding with her that the cables have a 300 pound breaking point. Went to the tire shop and then hole ended up being to big to plug so I guess I'm getting some new tires. 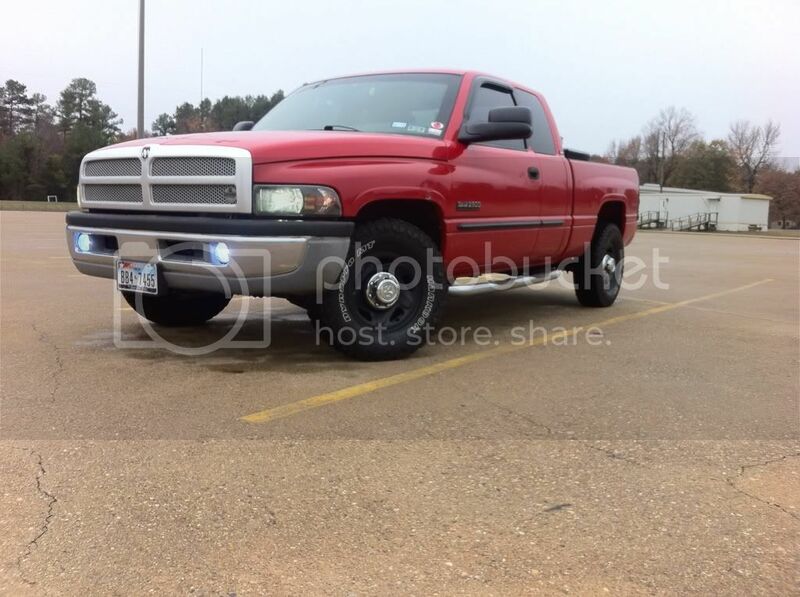 Also going to debadge and detrim the truck in the morning. Got the 2500 and SLT badges off today dident have time to get the black trim off. Used a heat gun and a pine paint stick you get at lowes with paint. I took the Pine stick and sanded it to a point to help scrap the sticky off. It worked great! did not mess up the paint or anything. I still have a bit of stuff stuck on the pass door but it will come off soon. Heres the Finished Product! Also Got them SLT Badges off easiest of the bunch. Nice job. 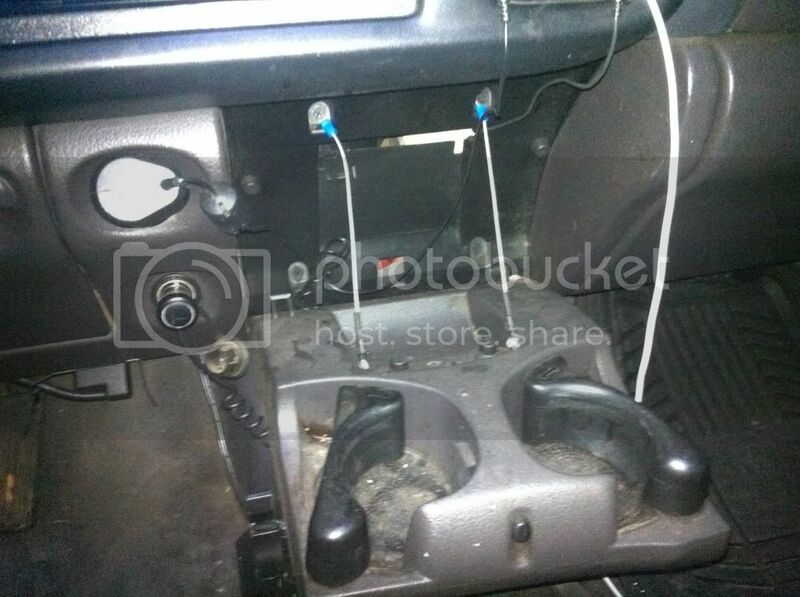 Noticed your XM radio, how did you mount it? Mine is just flopping around in the store. 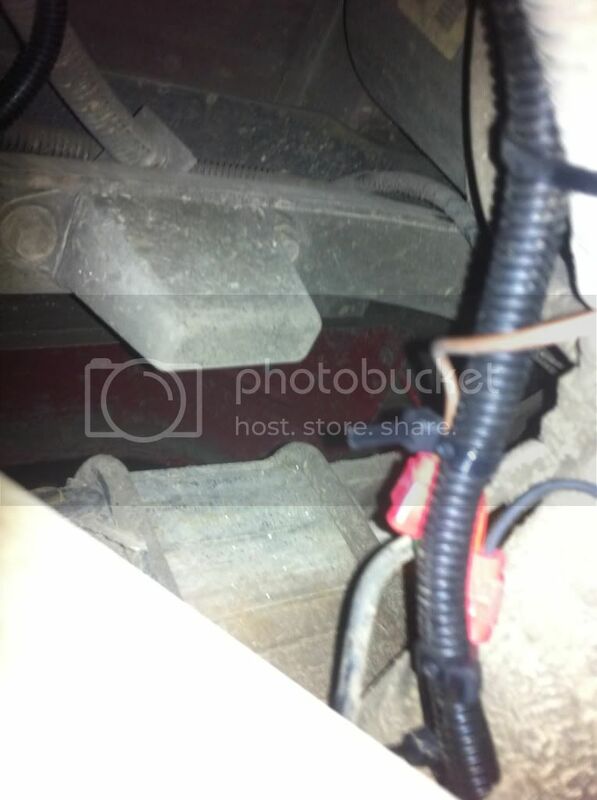 Also would like to know more about your map lights and your stereo and speaker mounting. trucks looking good. i like the black rims better. Yea cup holder in these trucks are junk! And I have a ton of crimps. I was using wire at first but is was not holding so I said screw it and got some cable at the local lowes. Best part is they just gave it to me! said it be to much trouble to get in to the computer. Also the wheels hold up great! the only problem i have is when they pop'ed the wheel off the rim it messed a little of it up. But on the other hand all i had to do is cut off the bad part and respray the bad area. Easy and cheap! Not much done this last week. Just added the DB sticker to the tool box. 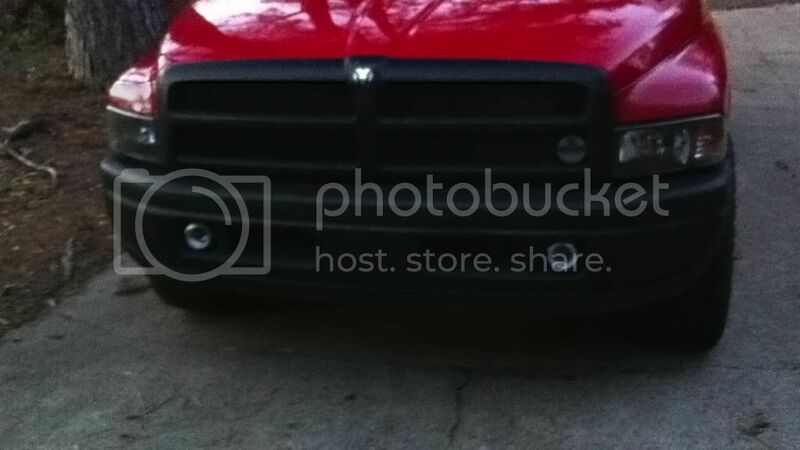 Need to get a cummins forum and mopar man sticker lol. Tomorrow I'm going to start working on my install of my storm chasing gear. Cb, Ham 2 meter, Light controller, Lights, siren speaker/controller and the center console hump mount. Washed, Waxed and shined! snapped this pic going to work this morning. Well ended up getting a new project this week. Picked up a 1997 Honda CRV for 500 bucks! Needs a little work and a water pump and some body work. All power and leather also All wheel drive. Gets 25 city 30 hy. Plans are to get it running and drive it to work and class and allow me to get the transmission out of the dodge to rebuild. The truck looks better after every mod/change. The blacked out rims with the chrome center caps really stand out. I also like the back-up lights, makes seeing things a lot easier. What kind of head lights do you have? And how do you like them? 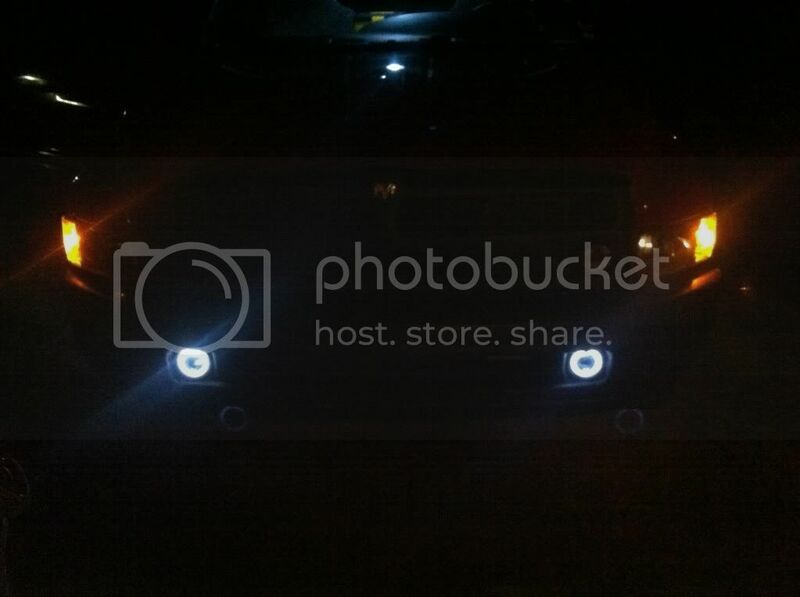 I am wanting to get some better headlights and they good looking. Also where did you get your 300,000 mile badge, I need to get me one of them! 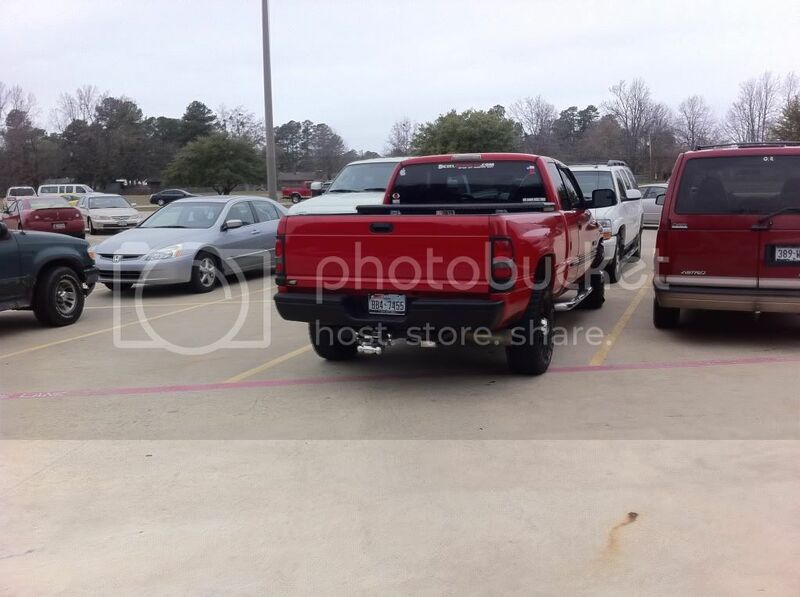 Keep up the great work on your truck! Nice little CRV there Aaron! A lot of people are starting to run re caps. I just don't know if I could trust them. I sure see a lot of road gators going down the highway. But then again technology has help in that area too. Yea well up here around my area there is construction EVERYWHERE! 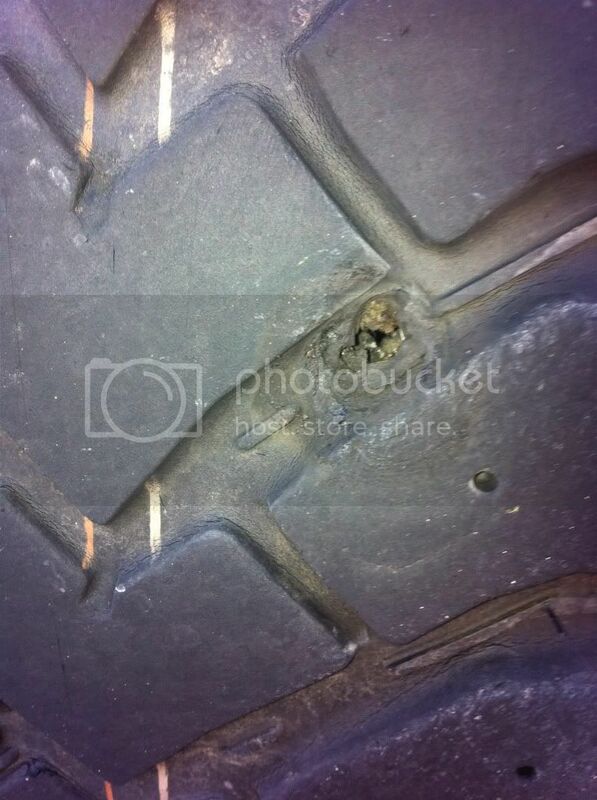 Ive have had 5 nails in a tire in the past 3 months. 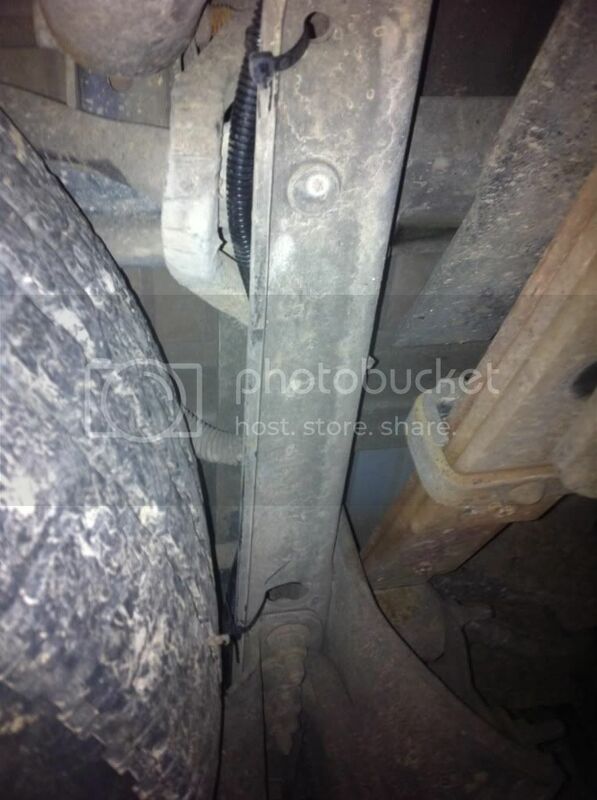 That and I dident want to pay 1300 for a new set of tires. They do appear to be a good product and they are a few members here that are running them. I would be interested in seeing how they are doing for others. I would like to know if you have to spend $650 twice as often as you spend $1300. Yea well see ill be posting up on here. I'd be at lot less mad to loseing a tire to road hazard that's 110 then 275. There stated to last 40,000 to 50,000 miles. So well see. Also the hancooks I had on there were way to soft on there rubber. The Texas rocks just ate them up. I am only going to get about 45k out of a set of new Pirrellis at $800. Not very happy about that. 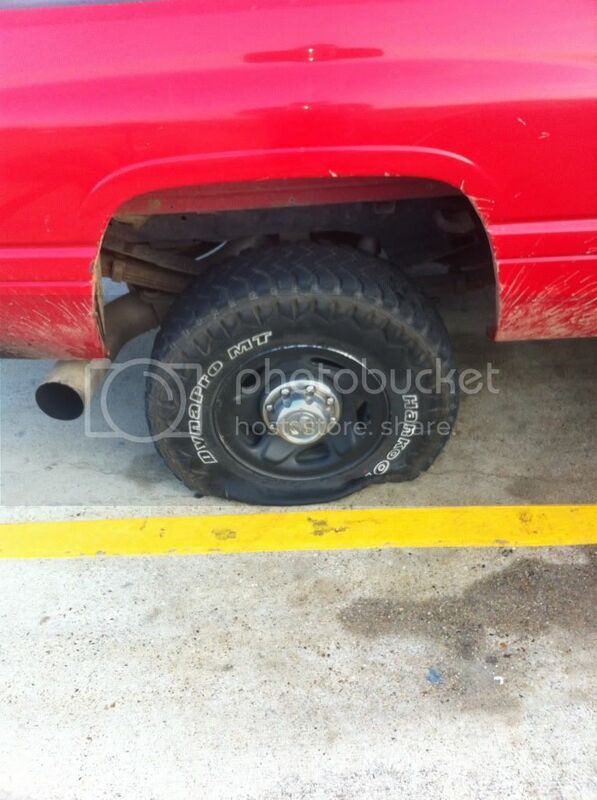 I can get a set of Michelin ltx out the door at Discount tire for $1200 with new replacement even if I tear one up. I can get about 60k to 65k out of the old style. The new style is supposed to go farther but I did not have $1200 at the time. Yea i just did not have the funds to spend as much as a 12 hours worth of classes at the college I'm at now.